It is a friendly, warm and welcoming weekly magazine from the emerald isle. 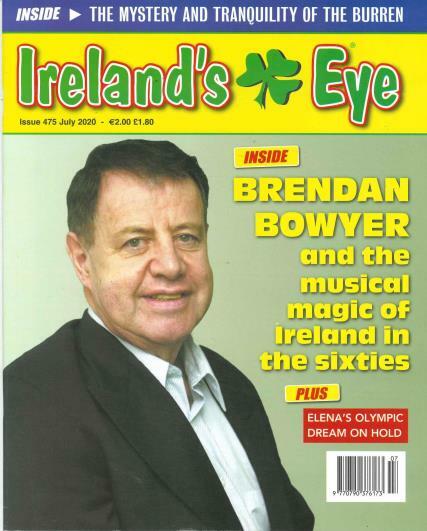 Buy a single copy or subscription to Ireland's Eye magazine. Ireland’s Own is full of interesting but uncontroversial content, making this a family friendly read that is perfect for a tea break. Having been published for over 100 years, Ireland’s own is a magazine that has hit on a winning formula. I also received a copy of a booklet on catherine emmerich and was disappointed it included exerpts from the writings of fr gobbi. while i believe the prophesies of catherine emmerich i do not believe the writings of fr gobbi. I have always heard that if prophesies do not come true they are not credible and fr gobbi,s prophesies saying that the TRIUMPH OF THE IMMACULATE HEART OF MARY WOULD HAPPEN IN THE YEAR 2000 was not true so i stopped believing in him and would have much prefered if his writings were not included. Ireland’s Eye is filled with stories, articles and features that are interesting to anyone with Irish blood in their veins. The pieces are short and that is important to many people today. They are about our past and modern-day Ireland. I look forward to Ireland’s Eye at the beginning of each month. It has a nice colorful shiny cover and is well printed and bound. This is a five star magazine of which Ireland should be proud! Ireland's Eye is a very wholesome magazine. You can let all the family read it. It is always packed with interesting articles and stories. I really enjoy reading it. It is a powerful magazine reminding us all of yesteryear...How people coped in times when food was scarce it brought out the best and at times the worst. simply a great read. a terrific irish connection for me in Australia. Like passing the mag; on to friends. The articles give a great insight in to the irish folk and the history and goings on of the country.A bonzer read every issue.